Okay, so I was wondering how does one remove the door panels on these cars without destroying the retainer clips or the door cards? Mine are so brittle that I need to make new ones or buy a pair..
Um, Brian, that's not the sort of answer I was looking for. I believe they make a tool with a claw like end... like a mini crow bar/ screw driver. Joe that looks like a good set there! Joe Sportone wrote: I believe they make a tool with a claw like end... like a mini crow bar/ screw driver. I have something similar that I tried but without knowing how the clips actually hold the panel to the door, I'm afraid I will cause damage to the panel. I've actually got that same tool, unfortunately it doesn't seem to do the trick on these particular clips. #2 Remove the door handle and window crank...This is the hardest part as there is a special tool to push the little retainer clips in a bit while pulling the handle off the square shafts. I have used a small screwdriver to push the clips but you have to be very careful you don't slip and tear the vinyl on the door panel. This special tool is still readily available. Look on-line. Google "Mopar door handle window crank removal tool." #3 Remove the armrest. Easy job: just remove the two phillips screws. 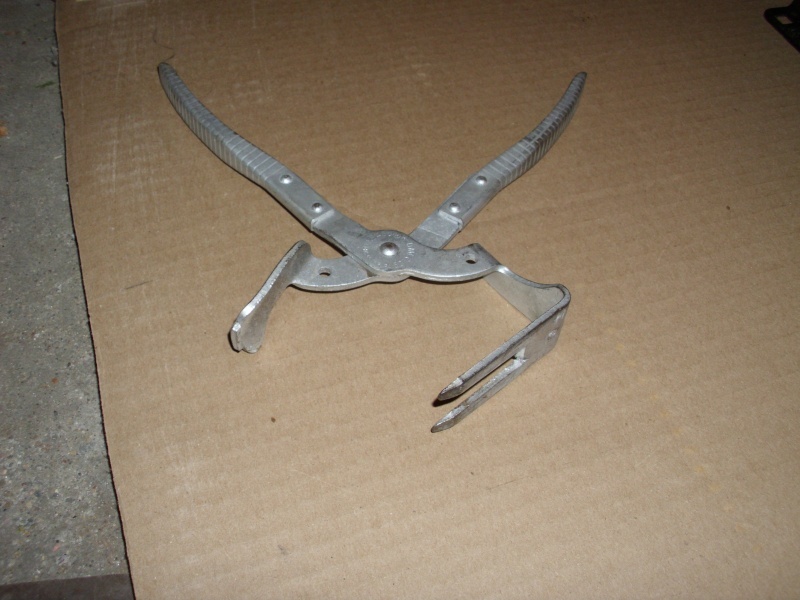 or even make a tool out of a thin piece of sheet aluminum or sheet steel. Just cut a, 1/8" wide slot into it about a 1/2" deep. Slip it under door panel and feel your way onto a clip...then pry outward on both sides of the clip so you don't rip the clip out of the cardboard. Once you pop one clip out you'll have the hang of it. #5 When all the clips are popped the door panel can be pulled off...raise bottom up and pull down from under window garnish frame. If I remember right, loosening/removing window garnish molding helps free up door panel too. I just wish I could find an image of an actual retainer clip to see how it engages the door. Don't be afraid of these door panel clips...just pry right next to them so you don't tear the carboard/composite (door panel backing) out from the clip. I've done that before and had to repair the door panel with epoxy. It's not a catastrophe but you certainly don't want to do it repeatedly. If you insert your pry tool under the door panel move it along edge until it hits a clip...If you have a pry tool with a notch in it...center the notch on the clip and pry. You'll hear a pop and then you move on to the next one. As I said before once you do a a few you'll be a pro. That's a great door handle/window crank tool you have there. I looked all over the internet last night for one as I was researching info. for this thread but I could not find one. Where did you get it? Still available? I bought this particular tool off of ebay, I think I paid around $80 but it was worth it to me. 57belv wrote: I bought this particular tool off of ebay, I think I paid around $80 but it was worth it to me. 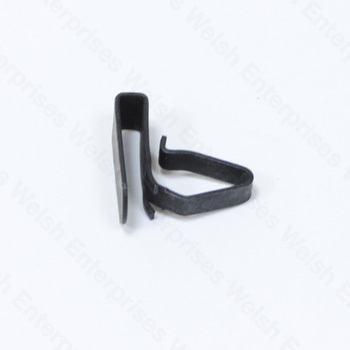 Did you look at the photos of the door panel clips in the link I pasted at the top of my last post Chris? The images of the clips at the top of that web page are like or vary similar to what's holding your door panels on...(that is if you have original door panels) The door panel end slips into a slot on the perimeter of your door panel and the door frame end is like a criss-cross pattern that pushes into a small hole on the door frame. It closes up as you push it in and/or pull it out and opens back up when it's pushed in place and/or removed. Just trying to help you understand how these clips work. 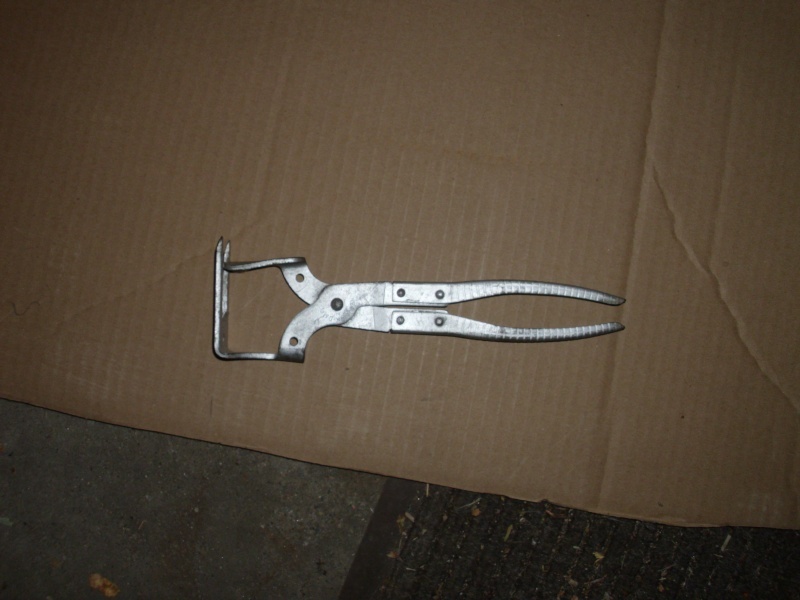 About the tool you have there for the handles/cranks...excellent find...I haven't ever seen one for sale anywhere. That's why the guy there on the Forward Look had to make his own! That is an awesome tool you have there Chris. Well worth it being a tool like that! As Bob has said and showed. Those are the style of clips that hold whats left of my door panels. Yep, I took a look at the clips but from what I could see on my panels, it didn't look like the wire retainers, it looked more like this one...and the loop was caught in the door so I didn't want to just pull it out. I'll have to do more investigating of course but now it will have to wait until spring. Those do look a bit different then mine. Also that style could pose to be a bit more tricky to get out. Well you have the winter to think it over. Ha Ha well something like that Chris! These cars never make it easy for us! Its always something..lol. Hmmm...well, I've had later Mopars too Chris. The last time I had a door panel off (that would be comparable) was on my gold 57 Belvedere. That was more than 2 years ago. The photo you attached is a slight variation but it should still pull/pop out the same way. Just make sure you pry right on the clip so you don't stress the composite backer board. If one gives you fits move onto another. They'll start popping for ya.